Iran says it has started exchanging crude oil with Iraq through a strategic project which is believed to open a new route for Baghdad to export its oil. 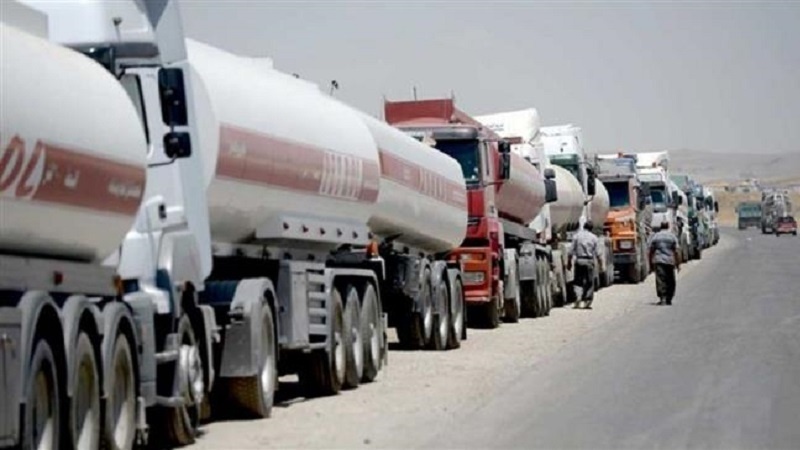 According to Press TV, Iran’s Ministry of Oil announced that road tankers carrying oil from Iraq’s northern city of Kirkuk had crossed Iran’s border and were already delivering oil to reserves in the Western Province of Ilam. The Ministry did not reveal the volume of Kirkuk oil currently being transferred to Iran but said a mutual agreement envisaged an initial daily swap capacity of at least 30,000 barrels per day (bpd). The oil would be eventually delivered to several Iranian refineries for treatment. They will include Kermanshah, Shazand, Tehran and Tabriz, the Ministry added. The swap deal between Iran and Iraq was agreed at the end of 2017, under which Iraq is about to truck 60,000 barrels per day (bpd) of crude oil to Iran. Iraq would cover all transport costs. Iran will accordingly deliver equal volumes with the same quality to Iraq’s clients through its Kharg terminal in the Persian Gulf. The project is expected to upend Iraq’s oil export route from Kirkuk via Turkey and the Mediterranean. Exports through the route were halted last year following a rise in tensions between Baghdad and the Kurdistan Regional Government that hosts the pipeline to Turkey. Media reports suggest Iraq and Iran are planning the transfer of oil from Kirkuk via a pipeline instead of trucking it.